Did you miss the talks at the FASS Open House? 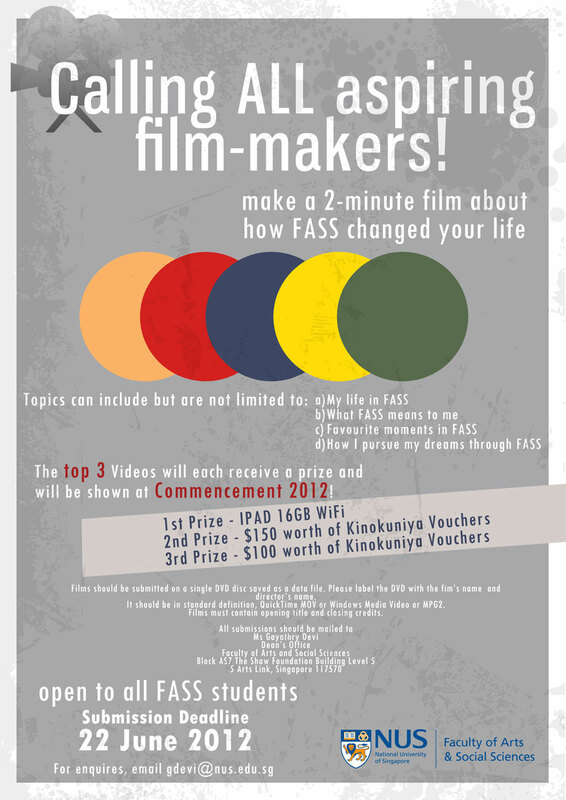 Watch recordings of all the talks during FASS Open House here! 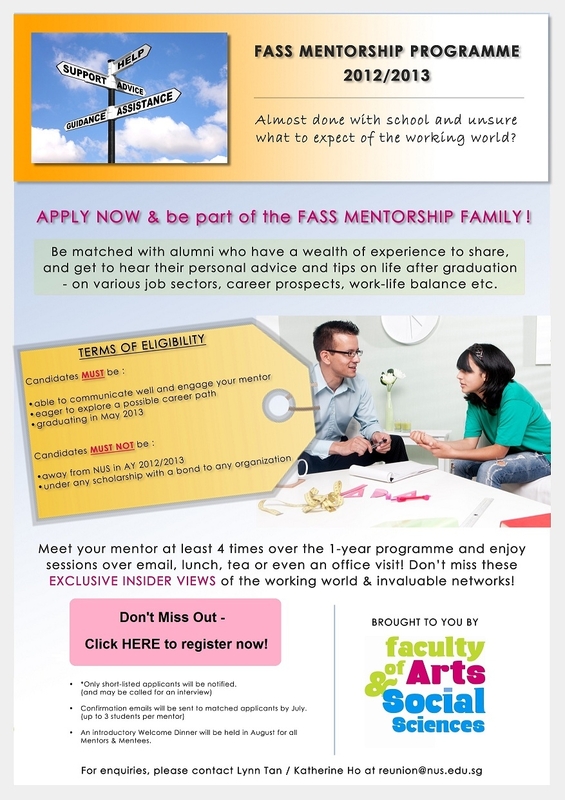 If you’re interested in applying to the FASS Mentorship Programme 2012-2013 – do so Now!! If you are unable to view this, please click HERE. 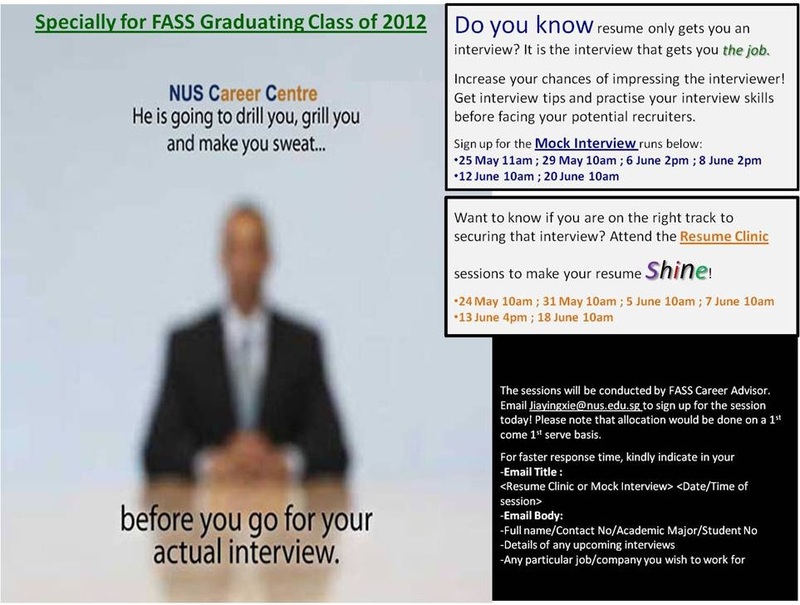 Sign up for the Resume Clinic and Mock Interview Sessions for FASS Graduating Class of 2012. 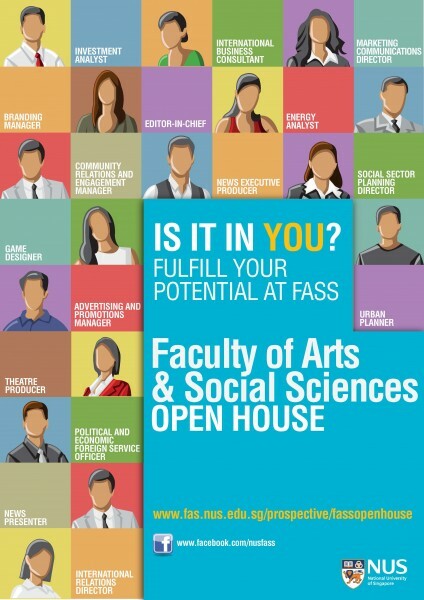 The sessions will be conducted by the FASS Career Advisor. 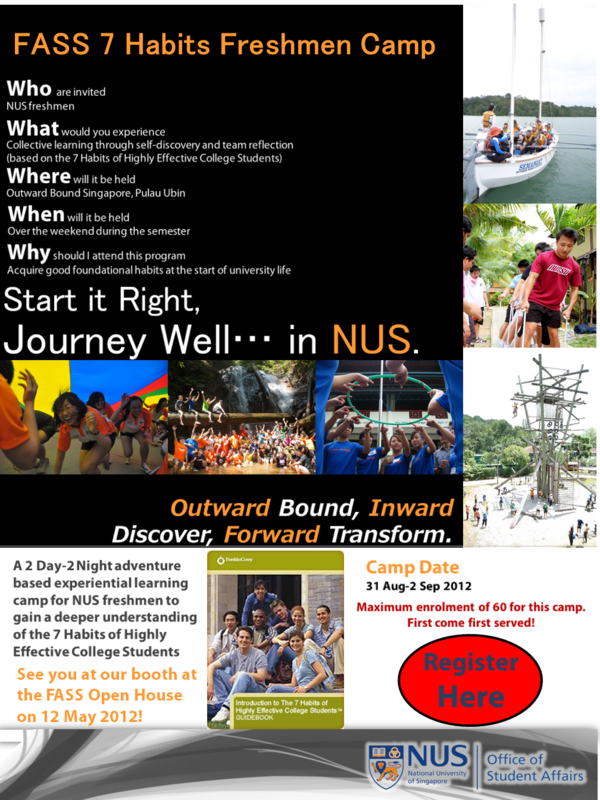 Email Jiayingxie@nus.edu.sg to sign up for the session today! Congratulations to Dr. Elaine Ho, Assistant Professor in the Department of Geography, who has been awarded the Progress in Human Geography Essay Prize 2012 for her paper on ‘Claiming the diaspora: Elite mobility, sending state strategies and the spatialities of citizenship’. Please click here in our Research Accolades pages to read an interview with Dr. Ho about the prize, the winning paper and her research. We would like to congratulate the following recipients for being placed on the GSTA Honour Roll in recognition of their sustained high performance in winning the award three times. We would like to congratulate the following recipients for teaching undertaken in Semester I, 2011-2012. NUS Career Centre Student Survey 2012 – Over 100 prizes to be won! In partnership with the NUS Career Centre, we would like to hear from YOU on what your career aspirations are and how we can better assist you in your career preparation needs. Your feedback is important as this will determine and shape the type of career development programmes and activities that we organise for you. 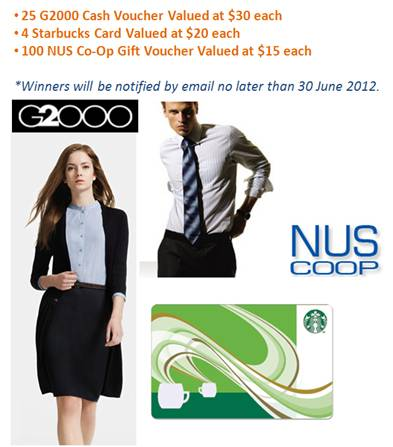 To show our appreciation, all respondents who complete the survey by 31 May 2012 will stand a chance to win attractive prizes through a lucky draw. All completed responses will also be entitled to a S$10 voucher from the NUS Career Centre for discount on workshops and personality assessment tool. Take a 10 mins break to complete this survey and stand a chance to be our lucky winner. Thank you for sharing your time and inputs! Click here to start the survey. *Only aggregated data will be used for the purpose of this survey.